If you're like me, you like to try to make your barbecue sauce at home. Now there are many great commercial sauces out there, but there's just something about doing it yourself, right? Below are a number of resources to make your own barbecue sauce from scratch. Give it a try and let me know what you think. I like to experiment with new BBQ sauce recipes from time to time. Whether you grill over an open pit or use a commercial grill, your meats will be mouth waterin' tasty with a homemade sauce from scratch. You'll feel pride when you set the bowl of your sauce on the table. This just maybe the worlds best BBQ Sauce. Named #1 BBQ Sauce in America 2003 - PBS TV"America's Kitchen" Full-bodied with just a smidgen of heat, "Original" jazzes up any meal. Saute the onion, jalapeno, peppers, cayenne, chili powder, and the oregano in the olive oil and Bacon fat until softened about 6 to 8 minutes. Add all other ingredients except the limejuice and simmer until the flavors blend. Add limejuice and puree. Shack BBQ sauce is famous and there are variations of this recipe floating around on the internet. SHACK barbecue sauce goes well as a marinate or as a sauce on any meat. It's tasty, tangy, and unforgettable. Pour ketchup, hot water and vinegar into a LARGE pan, stir and bring to a boil. Stir often to keep the mixture from sticking. As soon as it boils, reduce heat to simmer and add the rest of the ingredients. stirring in the mustard last works well. Simmer for another 30 minutes, remove from heat and allow to cool. Use the ketchup bottles to measure the hot water. Save the bottles and once the sauce has cooled some, pour mixture into the ketchup bottles for storage. This homemade sauce works great for the traditional grilled foods like chicken, ribs or steak, it can also used with great success on fish, especially salmon, and grilled vegetables of all kinds. Sauté onion and garlic in olive oil for about 3-5 minutes, or until tender. Stir in remaining ingredients and bring to a boil. Lower heat and simmer for about 30 minutes, stirring frequently. Use for basting foods at the end of grilling or as barbecue sauce on the side. Makes 3 cups. Get Competition BBQ Secrets: Learn how to slow smoke meats like the pro's. Learn how slow smoke meats right... mouth watering competition style. Ribs, pork, brisket, and chicken. Did you know that "competition quality" ribs are better than any rib you can get in a restaurant? No? Then you better read this. Instant download eBook and FREE BBQ newsletter. 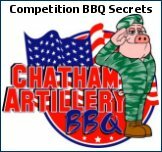 Bar-B-Q Secrets Revealed: "Everything you wanted to know about Bar-B-Q but didn't know where to ask". My friend Randy Pryor has knocked the ball outa the park with "Barbecue Secrets Revealed". This has got to be the best read about "how to" do anything with BBQ, sauces, rubs, grills, you name it. 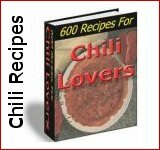 Over 100 recipes for rubs, 58 marinade recipes, 23 hard to find BBQ sauce recipes. Easily worth 3 times the asking price! 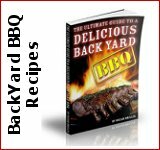 Backyard BBQ: Discover Simple Secret Recipes for Mouth Watering, Fall Off The Bone Ribs, Chicken & BBQ Sauce So Tasty You'll Be the Envy of the Neighborhood. In Oscar Orilla's 169 page ebook you’ll find everything you need to know about how to grill some of the most amazing, hard to find recipes from start to finish. Order Backyard BBQ today and receive 3 bonus books. America's Most Wanted Recipes: Key to unlocking hundreds of world class recipes from America's top restaurants, jealously guarded secrets behind actual dishes from The Cheesecake Factory, KFC, Red Lobster, Wendys, Hard Rock Cafe, Olive Garden and more. Considering how expensive it is to eat out these days, you can actually save hundreds of dollars by cooking the very same recipes in your own kitchen. Get this 'bestseller' today. Starting A Barbecue Catering Business This Comprehensive Start-Up Guide Kit contains all the necessary tools and strategies you need to successfully launch and grow your own barbecue catering business. Also includes all of the necessary forms that are needed to operate a catering business including many financial forms, example business letters and a complete business plan. Now you can realize your dream by Starting Your Own Barbecue Catering Business! Order Now. A resource of the best homemade barbecue sauce recipes available.